To mark the city’s 375th anniversary in 2017, the Borough of Ville-Marie will offer Montréal residents and visitors a revamped, friendlier Place Jacques-Cartier that will host lively activities year round. 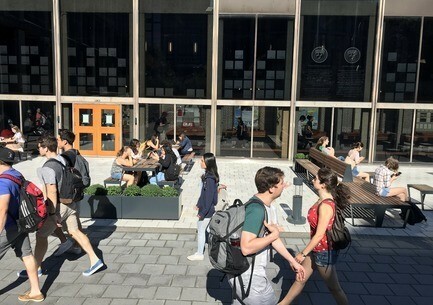 The borough hopes to enhance the quality of this public space and flaunt the rich heritage of this emblematic site, a prime social gathering place between the Old Port and the Cité administrative, dominated by City Hall. 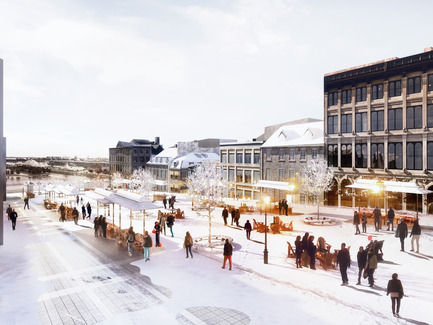 To revitalize the ambiance at Place Jacques-Cartier and facilitate events throughout the year, of building façades will be made more visible, to show them off, and flaunt the architectural diversity of the site. Currently, these façades are masked by awnings and terrasses (patios) used only during part of the year. The terrasses will be moved to the centre of the square. Merchants, artists and visitors can enjoy new furniture (terrasses, kiosks and benches). To protect customers from the sun and the elements, patios will be surrounded by glass walls and will feature a roof with a retractable awning. Linked to the power grid, these installations will be well lit and heated as required. The new structure also sets the stage for winter events such as a Christmas walk, after the patio season is over. 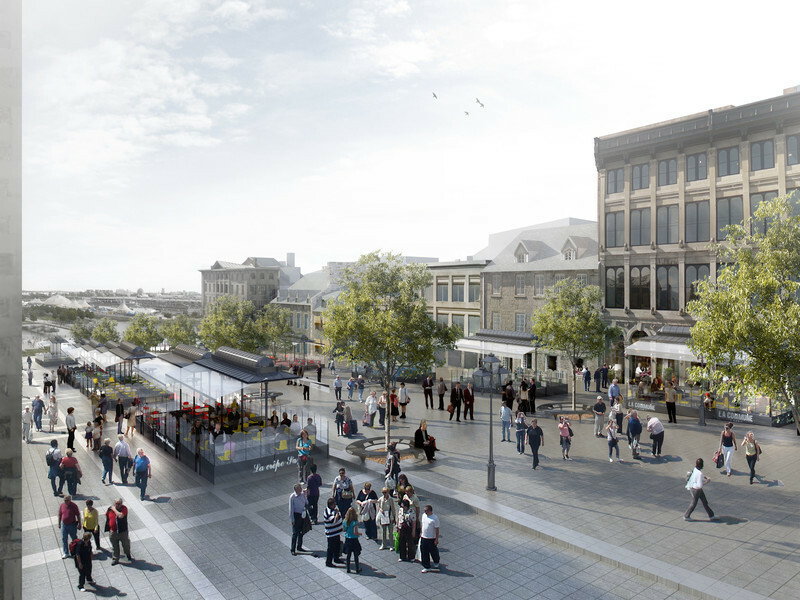 “Place Jacques-Cartier has not had a makeover since 1998. All of these improvements will re-burnish the site by giving it the aesthetic coherence that it lacks today,” says Richard Bergeron, counsellor of the St-Jacques district and executive committee member responsible for development of the downtown core. The borough plans to create a public square for artists, in cooperation with the Canada Lands Company (Old Port), on the promenade the city designed along rue de la Commune in 1992. 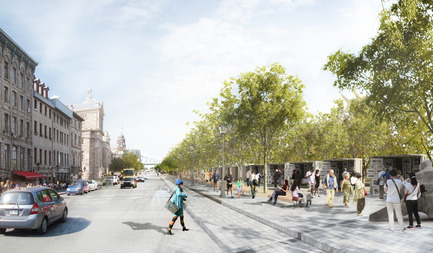 Artists and craftspeople will be invited to ply their trade on this promenade situated at the foot of Place Jacques-Cartier, visited by thousands of passersby, similar to the model of Bouquinistes alongside the Seine, in Paris. Portrait painters and caricaturists will remain on the square. A space at the bottom of the site will be reserved for musicians. The new occupancy mode of the square paves the way for one-time activities throughout the year, such as shows, noon concerts and other events offered by the borough, the Société de développement commercial Vieux-Montréal (Old Montreal Business Development Corporation) and event promoters. “Millions of tourists visit Old Montréal each year, and even more are expected in 2017. This square also should be the pride of Montrealers. To mark this year when the entire city will be celebrating its 375th anniversary, we have decided to invest to enhance this magnificent showcase of our collective history situated in the heart of Old Montréal, the cradle of the metropolis,” the Mayor concluded. 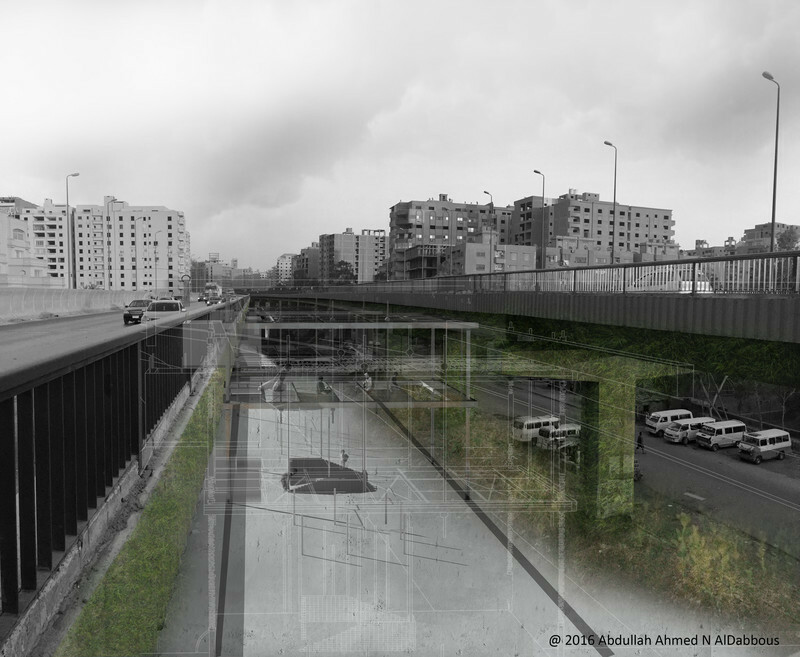 This project reflects the orientations of the Old Montréal Protection and Enhancement Plan, adopted by the Ville de Montréal in 2013. In the public consultations held prior to producing this plan, several improvements were requested, notably to make the site less confusing by limiting the number of facilities and activities; to clear building façades hidden by awnings and patios, and to improve the visual coherence of the site by enhancing the quality of patio construction. 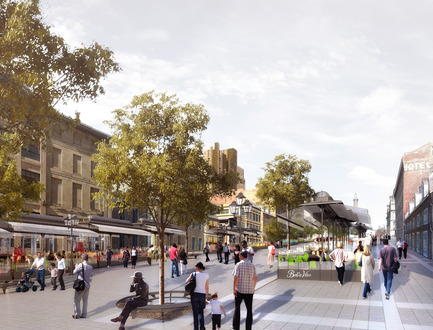 The new design of Place Jacques-Cartier was produced in cooperation with various working groups made up of experts and key actors in the district. The Société de développement commercial Vieux-Montréal expressed enthusiasm in the project: “For the business community in our district, this Place Jacques-Cartier upgrading project will have a positive impact on the development of Old Montréal as a whole,” says Robert Astell, President of the SDC. The Round Table on Vieux-Montréal also commended this initiative by the borough and the city. The Ministère de la Culture et des Communications (MCC) recognized the project’s capacity to enhance the built heritage of Place Jacques-Cartier, and will support the city in the steps leading to the final design of the urban development plan. 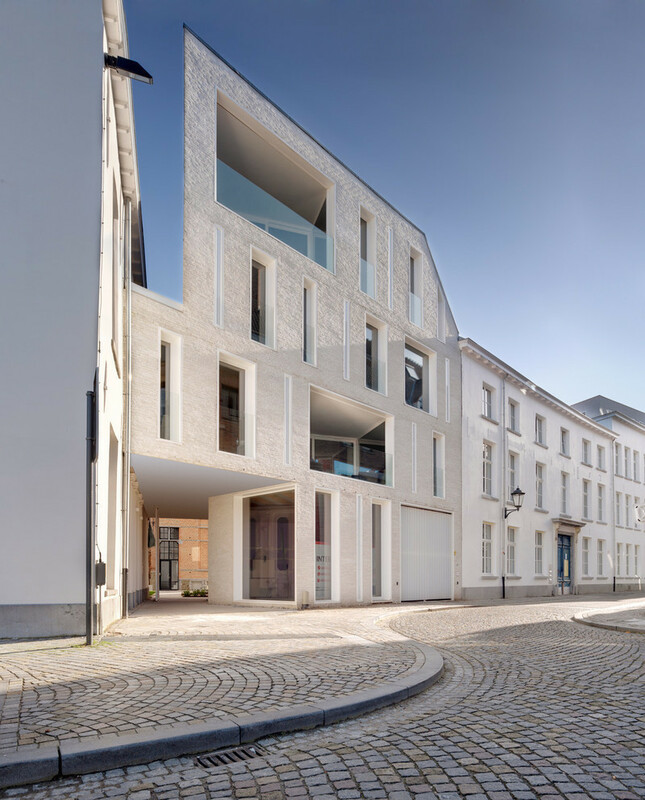 developing rue Saint-Amable to reinforce its pedestrian character. reuse of the Viger hotel and station. Through the PR@M-Commerce program, the Ville de Montréal offers financial support to property owners and merchants in designated sectors according to specific criteria. This program lets participants redefine their business model, restore their façade, and renovate their signage and interior. 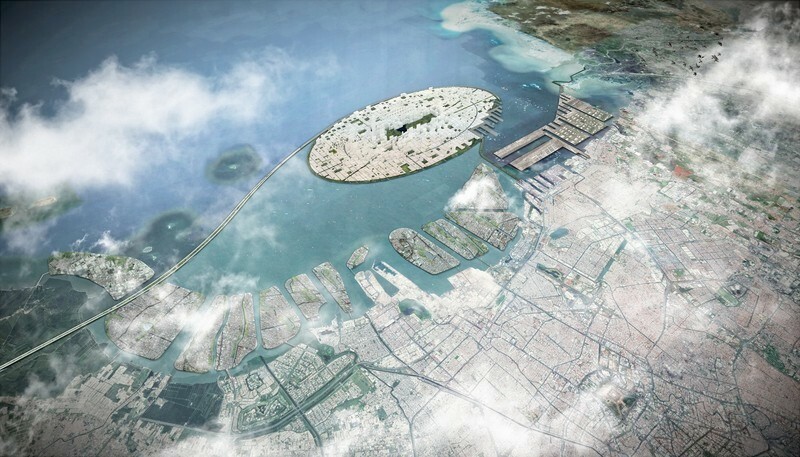 The objective is to enhance the built heritage and commercial development. The call for candidates for designation of sectors that will benefit from this program in 2016 is underway, and the Société de développement commercial Vieux-Montréal is already hard at work on its proposal. The firm Atelier VAP has been chosen to design the new occupancy and activities space at Place Jacques-Cartier. 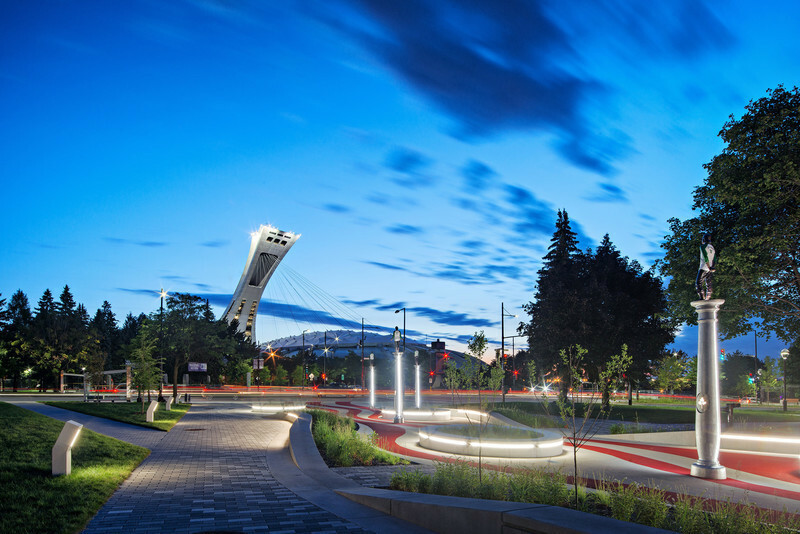 By consulting a team of professionals in landscaping, architecture, urban planning and design, the borough is reinforcing Montréal’s status as a UNESCO City of Design by encouraging designers to give their creativity free reign in the execution of a symbolic project for Montréal. 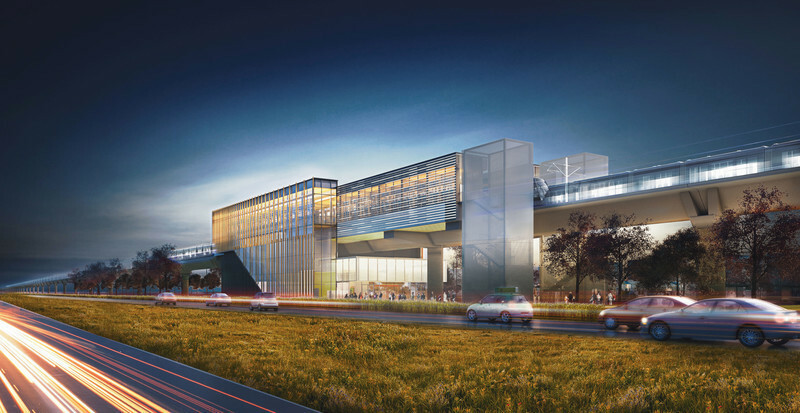 The terrasses will include transparent walls and roofs with retractable awnings. In winter, some structures may be installed to favor seasonal activities: Christmas market, hot wine sales, etc. 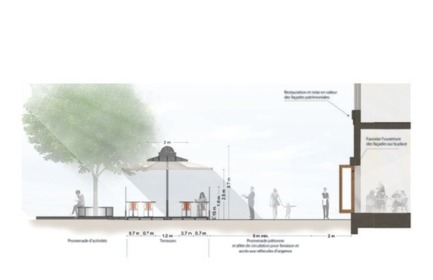 A special promenade will be set up along rue de la Commune in the extension of Place Jacques-Cartier. 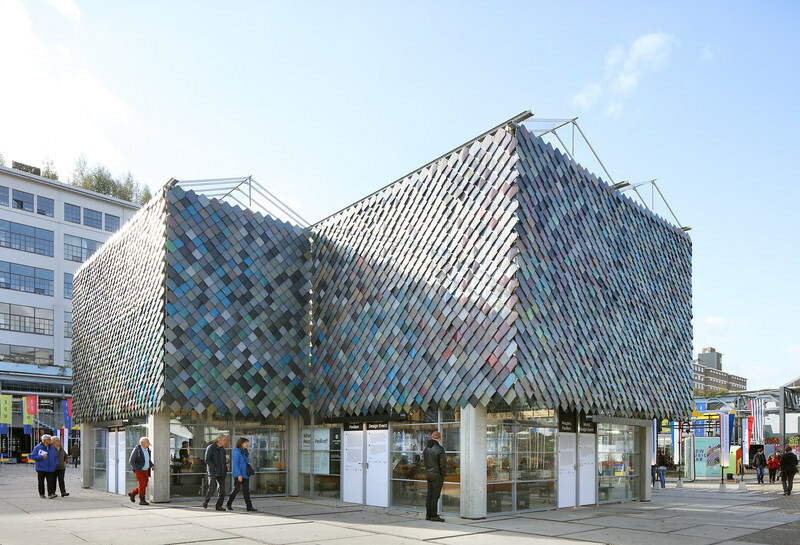 Kiosks for artists and artisans will nestle beneath a canopy of trees. Installation of terrasses in a side-alley. 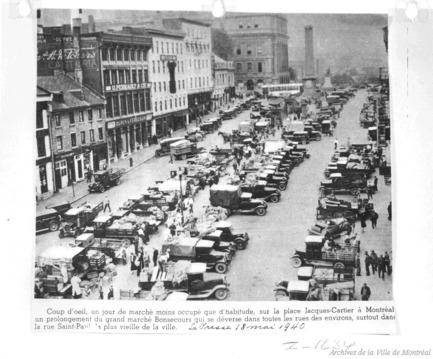 Photograph of a typical day at the Bonsecours public market in Place Jacques-Cartier. Reproduction of a photograph accompanied by a legend published in La Presse on May 18, 1940. 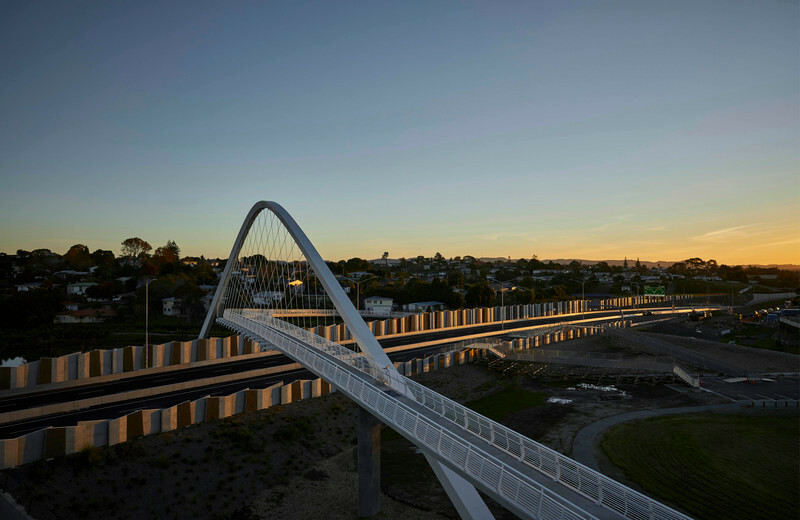 Vote for the Quartier Latin of tomorrow!